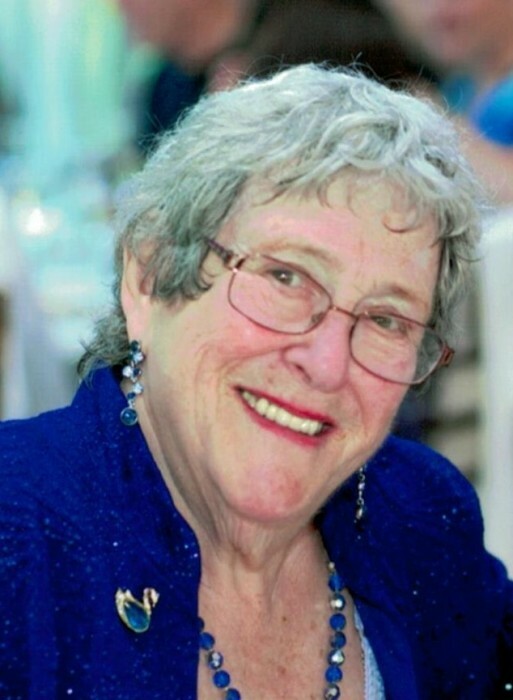 PETRARCA, Mary Frances “Frannie” (Petrarca), 83, of West Warwick, passed away Monday, April 8, 2019 at Kent Hospital. She was the beloved wife of the late Michael R. Petrarca, Sr. Born in Warwick, she was a daughter of the late Louis A. and Rosella (Gesperry) Petrarca. She was a resident of West Warwick for most of her life. Frannie, along with her husband, were the proprietors of the former Shamrock Café in Warwick for forty years. Previously she was an English teacher at Pilgrim High School. She was a communicant of Sacred Heart Church, an avid reader and loved spending time with her family and grandchildren. She is survived by four children, Michael R. Petrarca, Jr. and his wife Jen, Elena M. Marcoux and her husband John, Gina M. Kiers and her husband Joel and Stephen D. Petrarca and his wife Alejandra; a brother, Charles E. Petrarca and nine grandchildren, Kayla, Valerie, Domenic, Cameron, Michael III, Christopher, Nicholas, Aria and Sabina. She was the sister of the late Louis A. Petrarca, Jr.